- Ibérico de Bellota Ham: Those hams come from pigs have been fed with pastures and acorns. 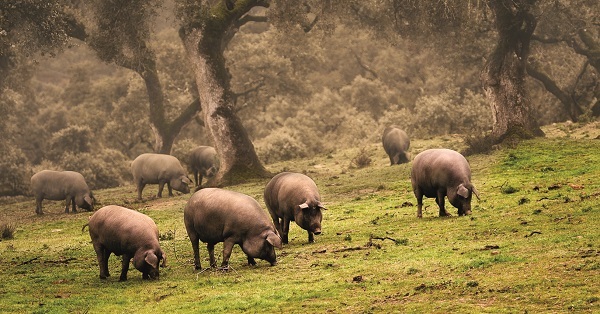 Depending on the pig's iberian breed percentage, the label's colour will be black (in case of being 100% ibérico) or red (in case of being a lower percentage). - Ibérico de Cebo de Campo ham: Those hams come from pigs have been fed with pastures, acorns and authorised feeds. The label's colour is green, independently from the percentage of Iberian breed. 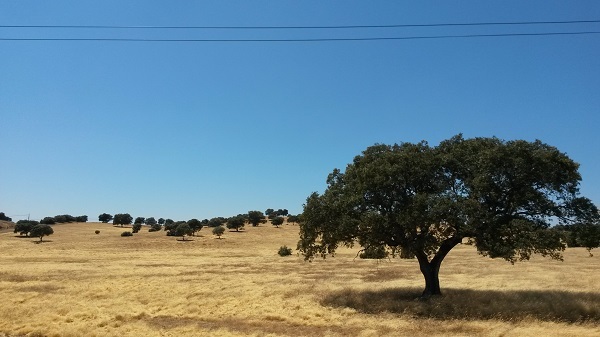 To be a part of this Designation of Origin, the minimum percentage of Iberian breed is 75%.